Final Day Of No-Shave November! Help Us Celebrate No-Shave November In Support of St Jude’s! 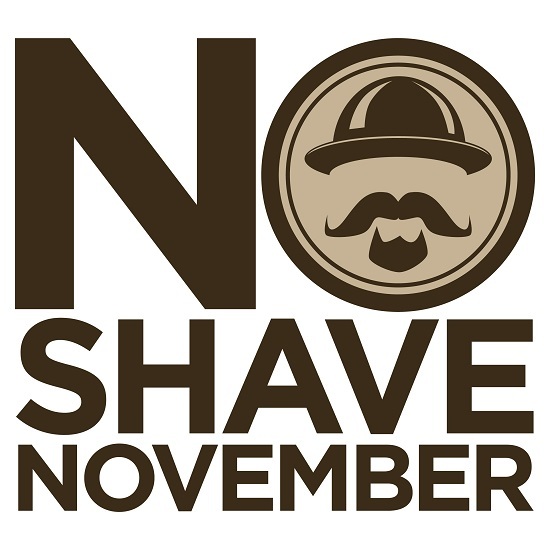 The Einstein’s team is observing a temporary hiatus of our clean-shaven grooming policy for the month of November to raise funds and awareness for the good folks at St Jude Children’s Research Hospital. We’re matching all employee and customer donations to St Jude’s dollar for dollar up to $6,000 total! 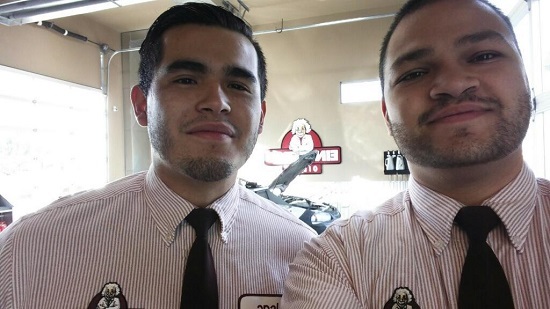 Customer’s can make a donation at any Einstein’s location or online via our No Shave November page at: https://www.no-shave.org/team/einsteinsoilery. Help us support a great cause as we let it grow! your windshield washer reservoir filled with a non-freezing solution all winter. • It’s not too early to think about studded tires. In Idaho, studded snow tires may be used from October 1 to April 30. Use extra caution when encountering snow removal equipment; snowplow blades force snow up and off the road, potentially causing blizzard-like conditions and reduced visibility for drivers following too closely. • Remain two car lengths behind snowplow trucks for every 10 mph you drive. Sand being spread by trucks can damage your vehicle. • Do not pass a snowplow unless it is absolutely necessary. snow’s force can knock your car out of control. Do not cut back immediately in front of a snowplow truck. The plow blades are often covered with snow and can be difficult to see. 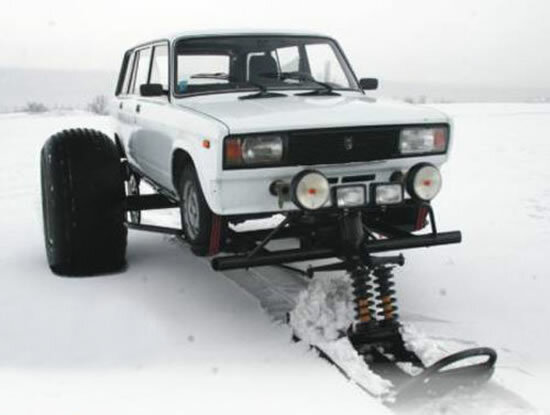 • Do not brake suddenly if you are traveling in front of a snowplow. The heavy vehicle cannot stop as quickly as your automobile. • a map of the area where you plan to travel. make sure it is charged, and carry a list of emergency phone numbers. If you get stranded, stay with your vehicle if heavy snow is falling. Most deaths occur when people leave their car, get lost, and freeze. In case of medical emergencies in areas where roads have not been plowed, call the local or state police. These agencies will work with search and rescue personnel and the Idaho Transportation Department to respond to emergencies. 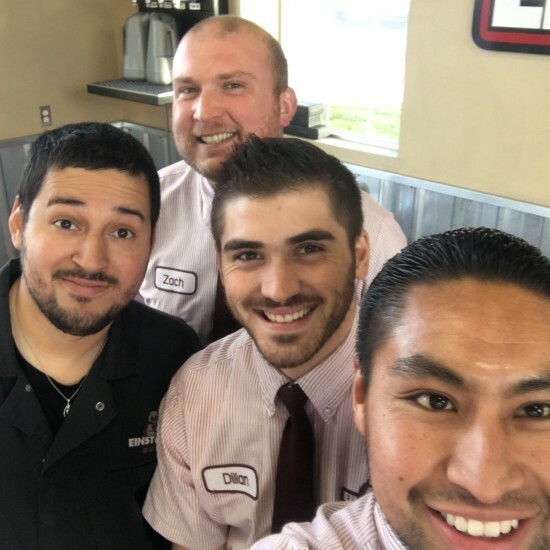 It’s No Shave November At Einstein’s Oilery In Support of St Jude’s Children’s Research Hospital! Einstein’s is suspending it’s company wide clean shaven policy for the month of November and encouraging all employees to “Let it Grow” in support of St Jude Children’s Research Hospital. All participating Einstein’s employees will be making donations to St Jude’s which Einstein’s will match 100%. 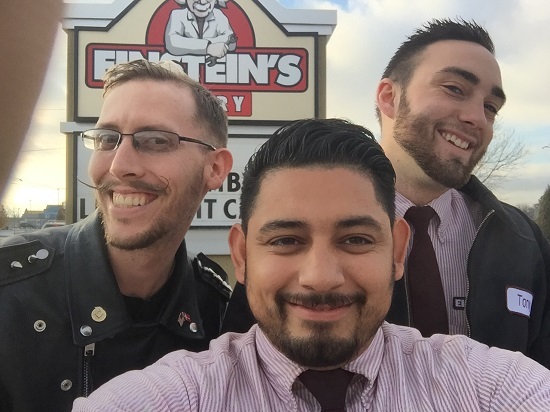 In addition, we’re pledging matching funds up to $6,000 for all customer donations received at any Einstein’s location or through our No Shave November team page at: https://www.no-shave.org/team/einsteinsoilery. Help celebrate Noshember with us in support of a great cause!